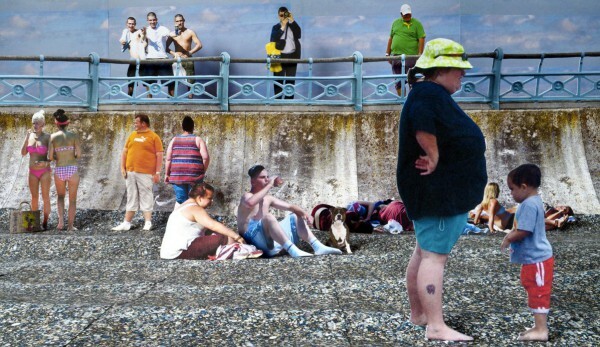 Sodley-on-Sea is a photographic social documentary series about an imaginary British seaside town. Sodley is made up of images sourced from the Internet that are printed, physically cropped and then used to build dioramas that are photographed before being destroyed. From October 2015 Page will be creating 10 new Sodley works for exhibition. 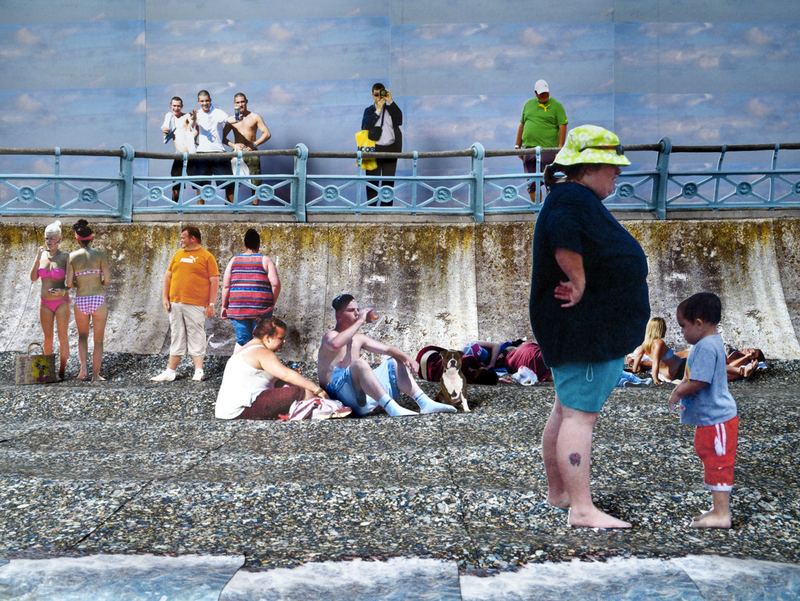 The idea for Sodley-on-Sea follows a long tradition of British Documentary photography, from Tony Ray Jones to Martin Parr, where the photographer has focused on seaside towns to explore the idiosyncrasies of British life. The Seaside has always represented the British notion of escape and yet is a space deeply entrenched in the national psyche and allied with tradition. Page’s work questions how the subject matter has become part of the documentary photographic tradition and raises questions about how representative the work truly is – particularly when almost invariably carried out with a sneer. As such Sodley satirises both notions of Englishness and the entrenched documentary photographic tradition.